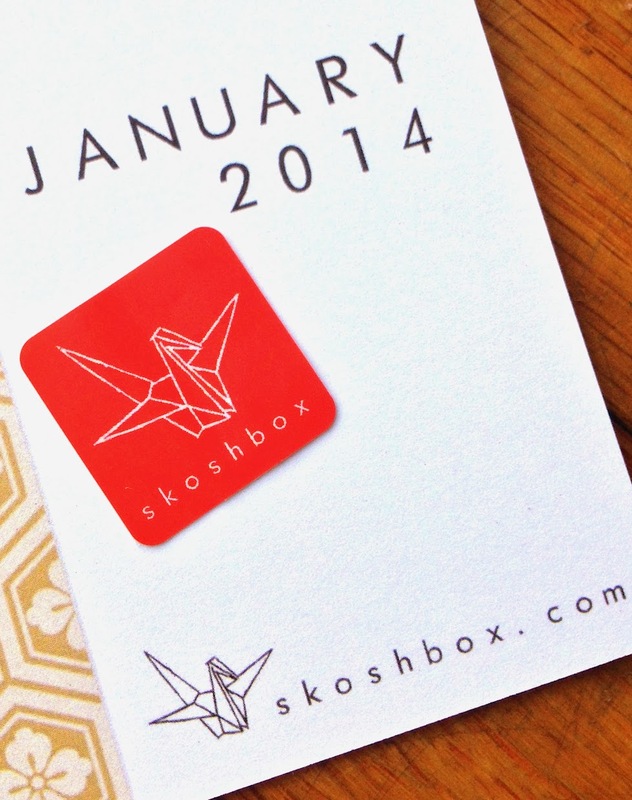 Get your own Skoshbox here! 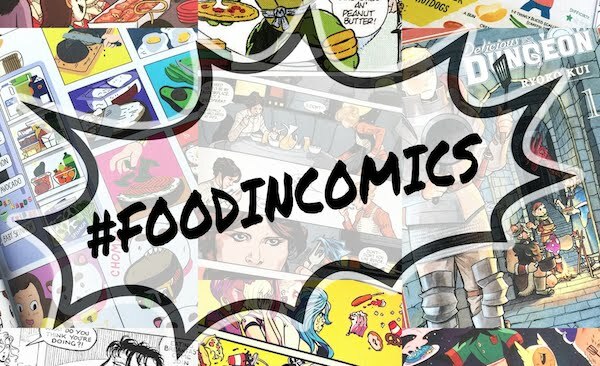 - Roasted strips of seaweed! * Smalls reaction when she saw it, "Huh! My seaweed!" She loooves seaweed like this so I gave it all to her. I'm not into eating big pieces of seaweed plain, but prefer the crumbles or when it's with something else. - Puffed rice cracker with a savory glaze on top sprinkled with seaweed flakes. * Love senbei! This savory cracker is nice and crispy and the seaweed and other subtle flavors are a good mix. 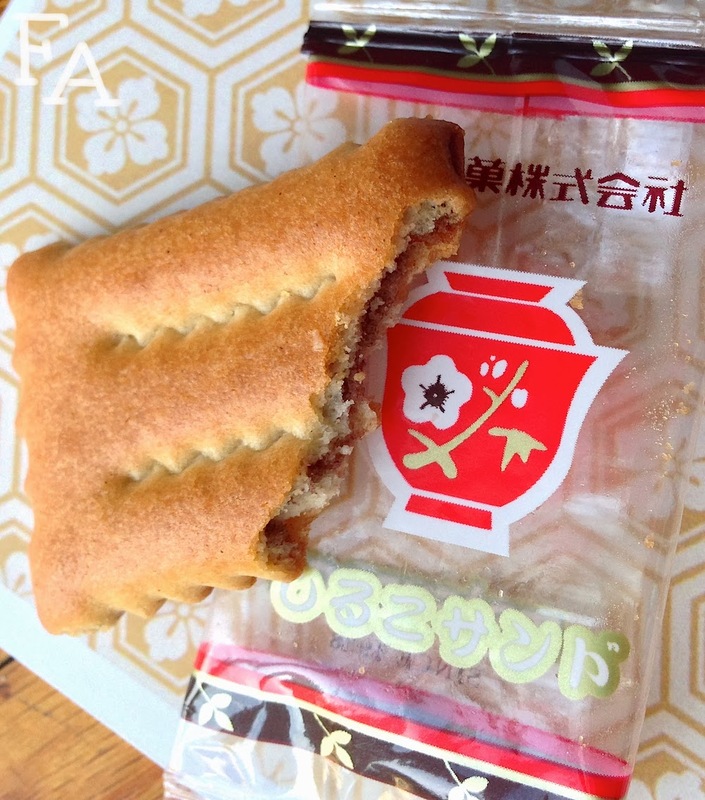 - Little rectangle biscuit/cookie with a thin layer of red bean apple jam inside. * A slightly crunchy cookie that was neither savory or sweet (well maybe leaning to the sweet side if I had to choose). The cookie/biscuit part was a little oily, but not in a bad way, you could simply tell there was oil in the mix. The bean/apple middle was dry so there was no difference in texture when I bit into it. Also, not really a discernible flavor. - Chocolate biscuit/cookie covered in milk chocolate. 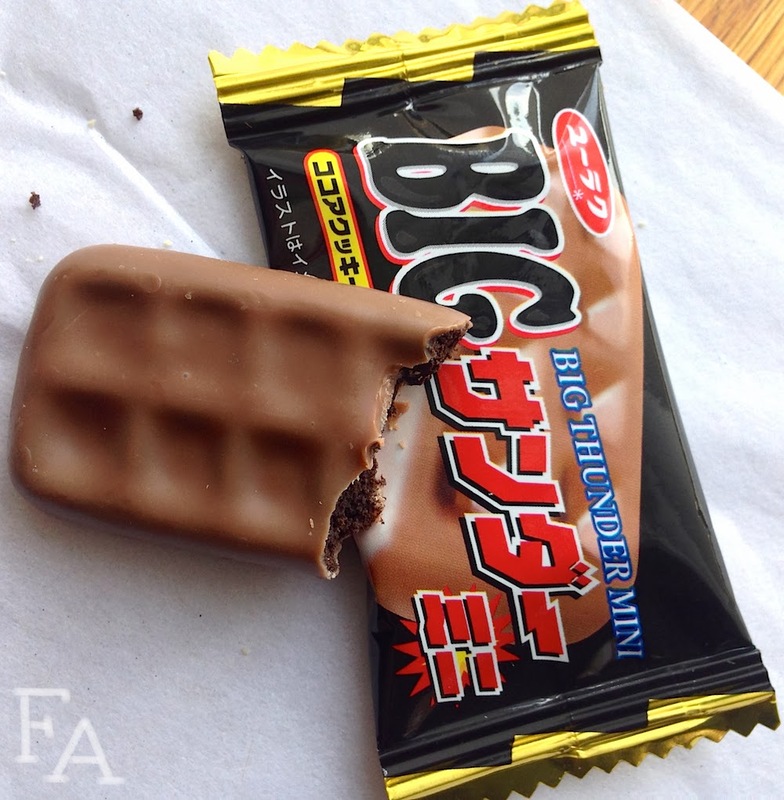 * The inner cookie part was a very nice rich chocolate in the shape of a little rectangle waffle. It wasn't dried out but just a tiny bit chewy and moist and was so great with the creamy thin layer of milk chocolate on the outside. - Rectangle of solid plum jelly coated with fine salt. * I've heard of umeboshi (pickled plums) through anime etc. so I was somewhat prepared for this little gummy to not be sweet, but it's definitely an acquired taste as the salt somewhat overpowers the tang of the fruit jelly. The jelly itself is sturdy on the outside with a jell on the inside that sticks to your teeth. I think I would like this more if it was less salty. 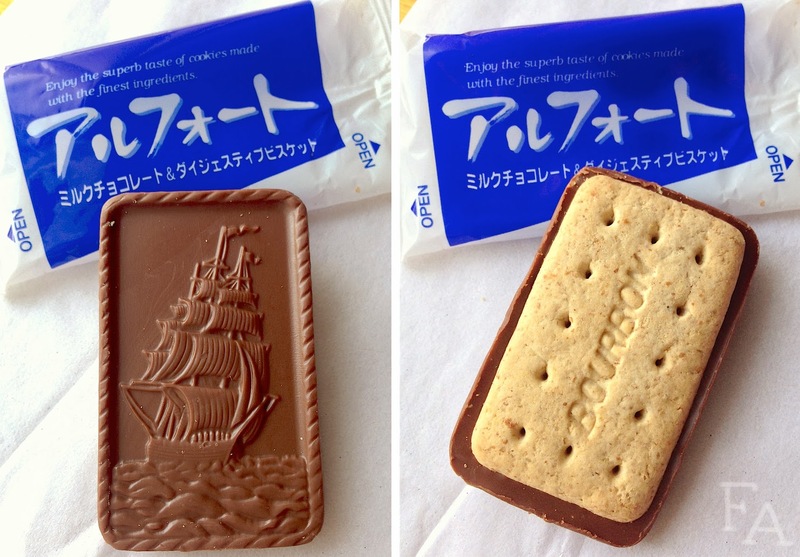 - Wheat biscuit rectangle with milk chocolate on one side imprinted with the image of a sailing ship. * This is an interesting combination of a soft, dry cracker-type cookie made with wheat meal, so it's not very sweet, with a decent amount of creamy, smooth milk chocolate decoration. I like it, but it is unique. Smalls totally loved the picture of the ship in the chocolate because it reminded her of Captain Hook. This would be really great at tea time. - Soft dark chocolate sandwich cookie with strawberry cream in the middle. * Oh we could smell the lovely strawberry as soon as we opened the package. The cookie is a wonderful rich chocolate flavor that is not too sweet and the cookie texture is so nice and soft, a little crumbly. The inside though, oh it's good. So strawberry, like I imagine fresh strawberries. There's even a surprise of a small dot of strawberry soft jelly in the very center of the cookie. 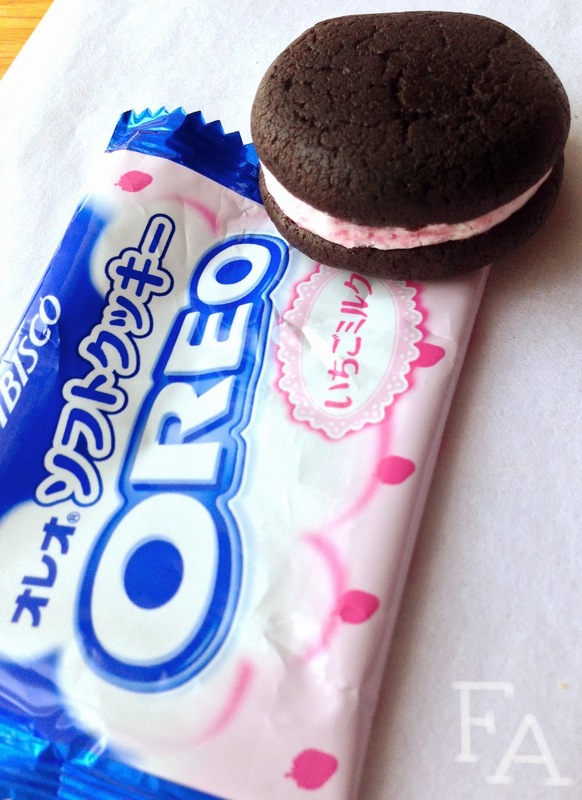 A really nice item that makes me curious as to what else Nabisco is making in Japan. - Puffed rice cracker drizzled with chestnut cream. 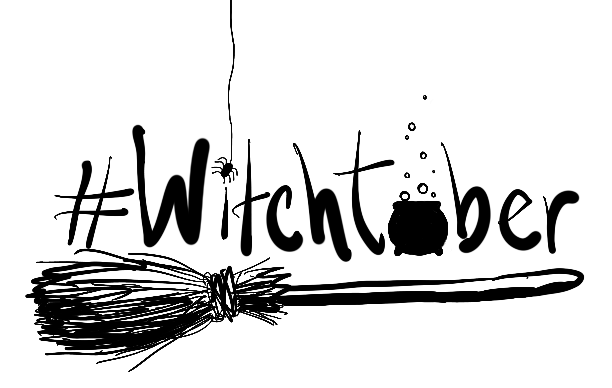 * Hooray! Another senbei! The puffed rice part is nice and light with a slightly salty side and then the drizzled side. The chestnut drizzle is so interesting! The flavor is very deep and rich. It makes me think of being warm in the winter. Love it. 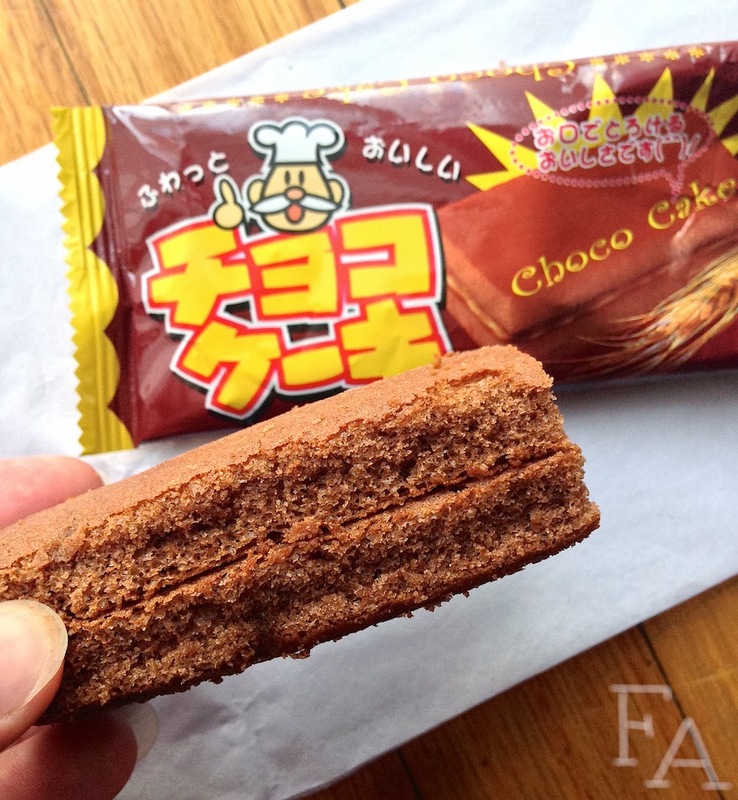 - Two soft chocolate cake rectangles sandwhiched together with a very thin layer of chocolate. * So soft! What's sticking the two pieces of cake together in the middle is hardly discernible (but it's chocolate...I think) but the cakes are so soft and fluffy and cocoa-y! Very nice little indulgence. (the senbeis, of course, are a given). FYI: The views expressed in these review posts are totally my own. 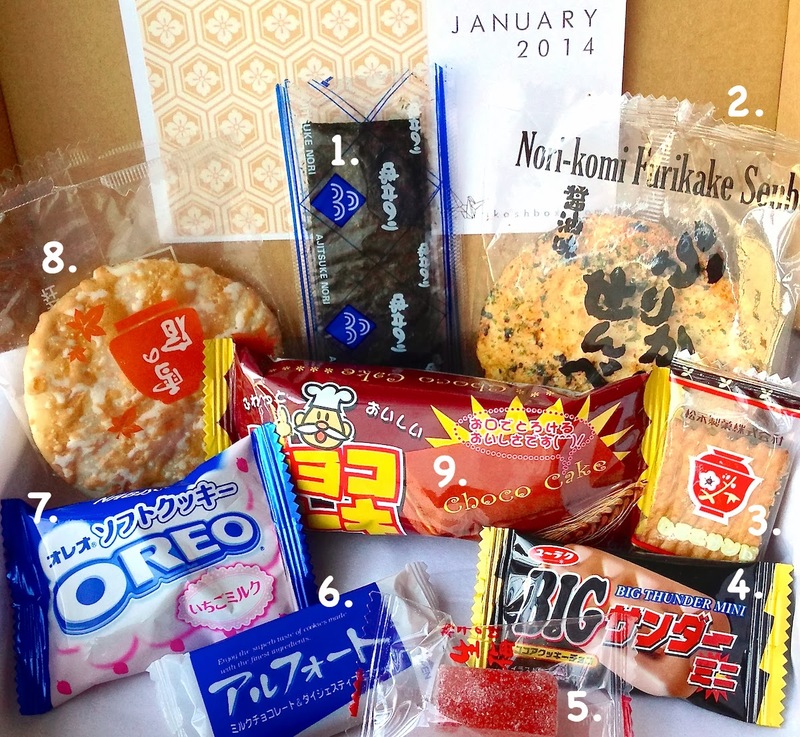 I pay for my Skoshbox subscription & post these reviews simply because I think this subscription box is a lot of fun & because I love Asian treats & want to share my thoughts!